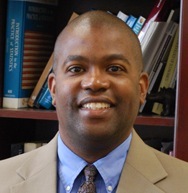 R. Anthony Rolle is Dean of the Alan Shawn Feinstein College of Education and Professional Studies at University of Rhode Island. Dr. Rolle believes that his mission is to empower life-long learners that maximize academic and professional development opportunities. Dr. Rolle was Professor and Chair of the Department of Educational Leadership and Policy Studies at the University of Houston. He also serves on the Board of Directors of the National Education Finance Conference. His current professional interests contribute to knowledge of organizational productivity and public finance equity by investigating their under-cultivated dimensions. Specifically, his theoretical policy research explores and improves relative measures of economic efficiency for public schools, and his empirical policy research explores and applies concepts of vertical equity to efficacy analyses of state education finance mechanisms. Using vertical equity concepts recognizes that socio-demographic differences among communities affect organizational processes; and, does not assume that all public schools have the same expenditure priorities.